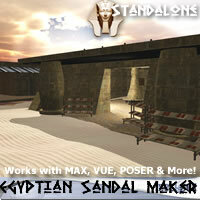 Content related to either modern or ancient Egypt. Return to ancient Khem! 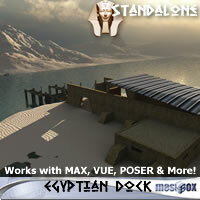 Meshbox Ancient Egypt Volume 2 series brings you every day buildings from the dynastic eras of old Egypt. 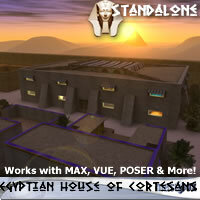 Join the Egyptian nobility in the house of courtesans, a high class establishment. Return to ancient Khem! Below the brooding pyramids are the villages of ancient Egypt. 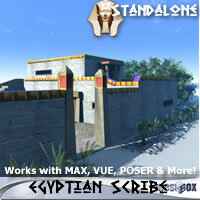 Meshbox Ancient Egypt Volume 1 series brings you every day buildings from the dynastic eras of old Egypt. 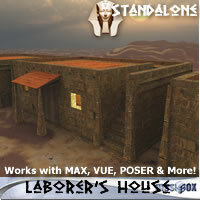 The Laborer's House fills the boroughs of ancient Egyptian cities. Return to ancient Khem! 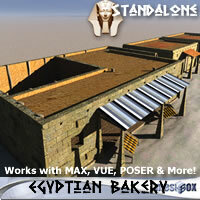 Meshbox Ancient Egypt Volume 2 series brings you every day buildings from the dynastic eras of old Egypt. The Olive Oil Merchant is hard at work. Return to ancient Khem! 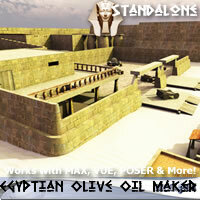 Meshbox Ancient Egypt Volume 2 series brings you every day buildings from the dynastic eras of old Egypt. Two floor Egyptian Oracle, with spectacular prophesy room and secret basement. Return to ancient Khem! Below the brooding pyramids are the villages of ancient Egypt. 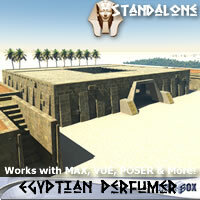 Meshbox Ancient Egypt Volume 1 series brings you every day buildings from the dynastic eras of old Egypt. The perfumer caters to the wealthy mercantile elite and nobility, with stock room, sales area and lab. Return to ancient Khem! 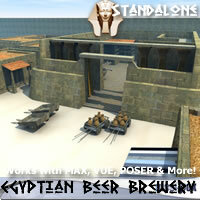 Below the brooding pyramids are the villages of ancient Egypt. 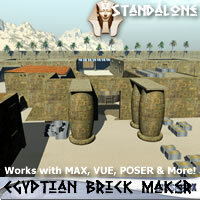 Meshbox Ancient Egypt Volume 1 series brings you every day buildings from the dynastic eras of old Egypt. The Scribe lives in a beautiful, but small house, with his office upstairs. Return to ancient Khem! 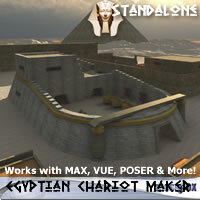 Meshbox Ancient Egypt Volume 2 series brings you every day buildings from the dynastic eras of old Egypt. 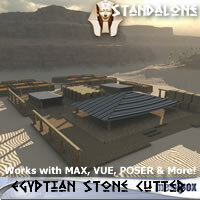 The stone cutter is more of a site than a building - featuring a main building plus several carvers tents. Return to ancient Khem! 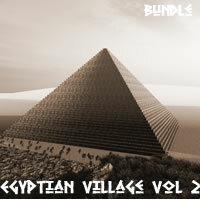 Below the brooding pyramids are the villages of ancient Egypt. 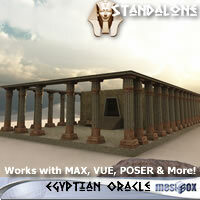 Meshbox Ancient Egypt Volume 1 series brings you every day buildings from the dynastic eras of old Egypt. 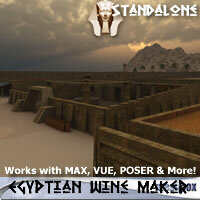 The wine merchant has a complete complex for creating wine in ancient Egyptian methods.